Are you looking to find a cosmetic dentist in Singapore? You may unsure what to look for and how to determine if you’ve located a quality provider with all the services you need. 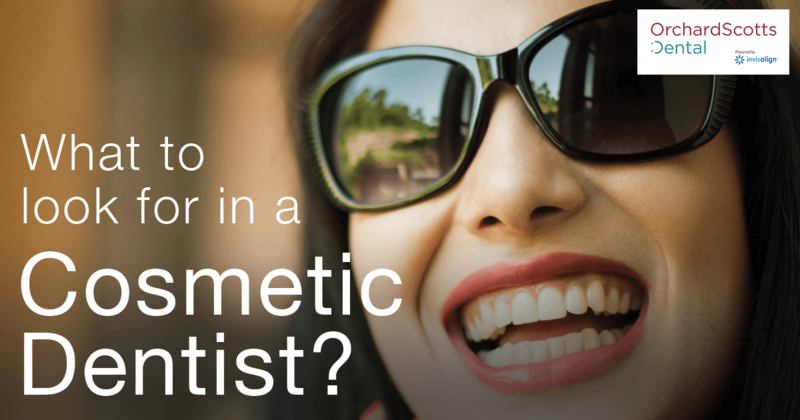 Here are some key points to look for when you’re searching for an aesthetic dentistry clinic. Unfortunately, some cosmetic dentists are what you might call “one-trick ponies,” meaning that they tend to use the same favoured type of treatment for every issue. Avoid this kind of “one size fits all” dentistry, and instead find one of the best dental clinics in Singapore that offers a broad range of services and customises those treatments for each patient. Of course, a top dental clinic needs to be led by well-trained, qualified dentists. When you’re investigating a particular dental clinic, check the background, qualifications, honours, and degrees attained by its dentists. One of the principal dentists at Orchard Scotts Dental is Dr. Ronnie Yap, who also serves as an executive committee member of the Aesthetic Dentistry Society of Singapore. Dr. Yap serves the patients at Orchard Scotts Dental along with other award-winning, experienced dentists. A good aesthetic dentist in Singapore has access to modern technology, along with up-to-date supplies and equipment. Choose a dental clinic with well-designed facilities and newer equipment like how Orchard Scotts Dental adopted the leading-edge iTero Element Intraoral Scanner for customers undergoing Invisalign treatment in Singapore. Using fresh innovations alongside time-tested treatment is one hallmark of a high-quality cosmetic dental team. In addition to qualified dentists with a great track record of success, a dental clinic needs support staff that are skilled at communicating with patients and handling the details of everyday business. When you’re looking for the right dental clinic, take time to talk to the front desk staff. Are they friendly and helpful? Are they knowledgeable and organised? Even the best dentists in Singapore need the support of a strong team in order to serve patients well. Not every dental clinic has respected industry leaders on staff, but it’s definitely a bonus if you find one like Orchard Scotts Dental. Two of the dentists from Orchard Scotts Dental, Dr. Jerry Lim and Dr. Ronnie Yap, are recognised and respected leaders in their field of cosmetic dentistry in Singapore. In fact, the two of them founded the Aesthetics and Digital Dentistry Academy (ADDA), with the goal of advancing the “art and science of professional dentistry in Singapore through education, research, and development.” These men bring that same level of expertise and dedication to the examination room as they treat individual patients. If you need cosmetic dental care, contact us at Orchard Scotts Dental today. As a trusted dental clinics and Invisalign Singapore providers, we can offer you high-quality care and exceptional service. Check our website to see the full range of signature services that we offer to our patients.